“We found the eighth-century B.C.E. 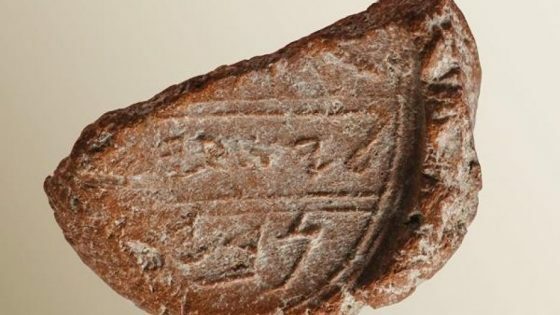 seal mark that may have been made by the prophet Isaiah himself only 10 feet away from where we earlier discovered the highly-publicized bulla of King Hezekiah of Judah,” said Dr. Eilat Mazar of the Hebrew University in Jerusalem, in a statement. Dr. Mazar led the team that the found the seal mark linked to the Biblical prophet. The artifact was found among undisturbed Iron Age remains outside an ancient royal bakery. Isaiah’s close relationship with King Hezekiah is described in the Bible’s Second Book of Kings. “If it is the case that this bulla is indeed that of the prophet Isaiah, then it should not come as a surprise to discover this bulla next to one bearing King Hezekiah’s name given the symbiotic relationship of the prophet Isaiah and King Hezekiah described in the Bible,” said Dr. Mazar. The seal mark is just the latest fascinating archaeological in Israel. Earlier this month, for example, experts revealed that they had uncovered a rare multicolored Roman mosaic featuring three toga-wearing figures during excavations in the ancient city of Caesarea. In January, archaeologists announced the discovery of a large 1,500-year-old pool and elaborate fountain at the site of an ancient church near Jerusalem. Last November, new evidence dated Christ’s tomb in Jerusalem’s Church of the Holy Sepulchre to the Roman era, matching historical records. Archaeologists also uncovered a stunning 1,500-year-old Christian mosaic in the ancient Mediterranean coastal city of Ashdod-Yam, now part of the modern city of Ashdod. Other finds include the skeleton of a pregnant woman, dating back 3,200 years, in Israel’s Timna Valley, at a place once called King Solomon’s Mines. In October 2017, archaeologists in Jerusalem announced that they have uncovered a new section of the Western Wall that has been hidden for 1,700 years. Also in 2017 an ancient Greek inscription was found on a 1,500-year-old mosaic floor near the Damascus Gate in the Old City of Jerusalem. 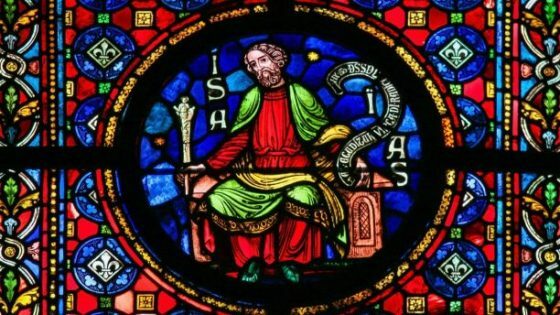 A paper describing the discovery of the ancient seal that may be linked to the Prophet Isaiah has been published in the Biblical Archaeology Review.